Qraa Spark Kit is an easy way to get instant shine and lustre in just 6 steps! 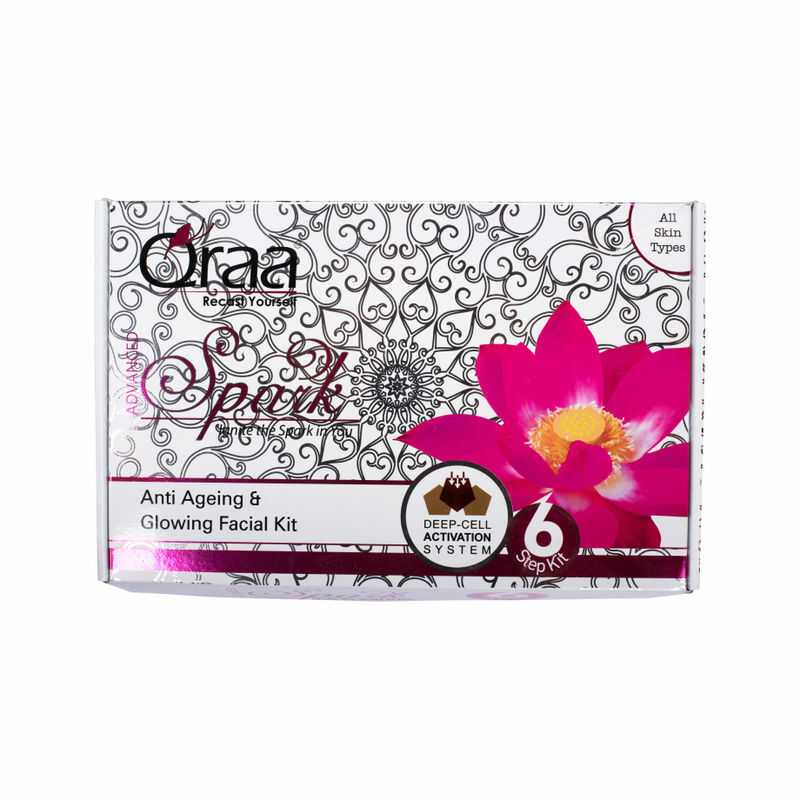 This anti-ageing and glowing facial kit by Qraa is a new generation kit with powerful actives that boost cell renewal, reduce wrinkles and revive elasticity. The active complex of salicylic acid, lactic acid and glycolic acid work together to provide you with a youthful complexion. Glycerine, retains and skin water, almond oil have anti ageing properties and is well know for its de tanning. the essential oils of rose and jasmine purify and nurture the skin.